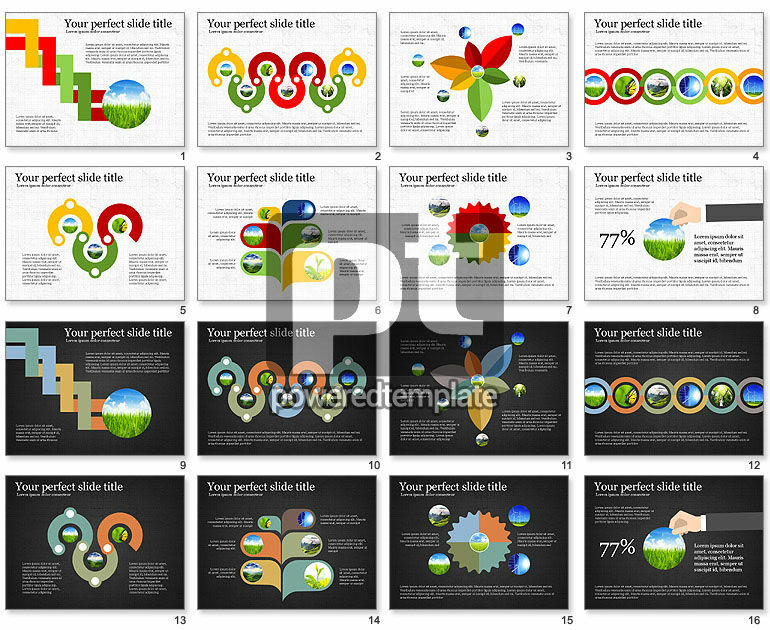 These presentation slides 50780 are complete compatible with Google Slides. Simple download PPTX and open the template in Google Slides. Flat design is not new one for the audience, but such creative staged shapes are unique and multipurpose because can be used for different projects and options. In general all figures in the presentation is made in yellow, red, green colors with combination of nature pictures, large titles, brief blocks with text and white or black background.